FULTON, NY – There was a flurry of activity Saturday at Fulton Alliance Church. It was the site of the CNY Arts Center’s Family Snow Day. A wide variety of people took part in events such as dough sculpting, storytelling, art projects, carnival games, a poetry writing class and live music. 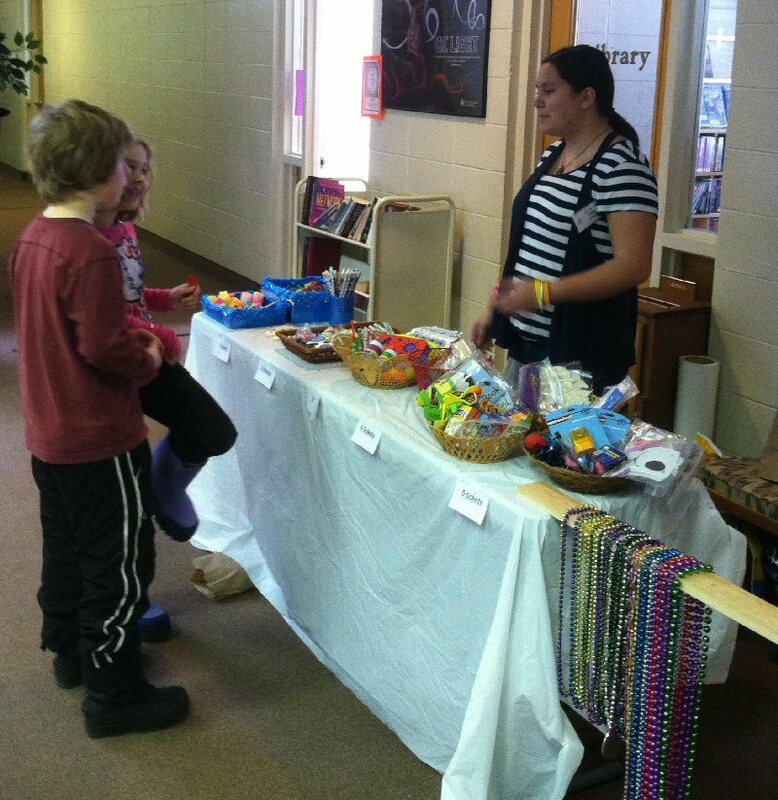 Children exchange their tickets at the prize table. “This is our first year throwing the event and we had volunteers from the Alliance Church and the community, including the Lake Country Quilt Guild and the Sunrise Rotary who staffed the kitchen today,” said CNY Arts’ Nancy Fox. 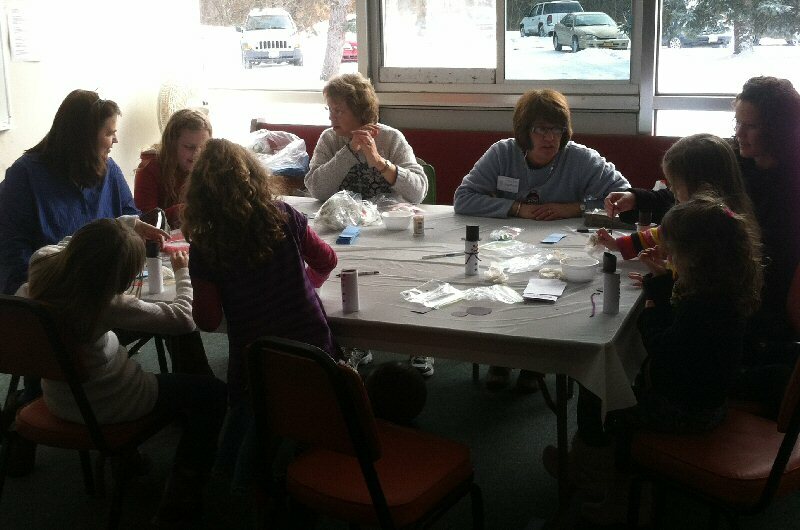 Art projects were available to the children, with snow themes such as designing your own hot chocolate mug, constructing a snowman and making a beaded snowflake. The poetry class was taught by Jim Farfaglia, who encouraged each child to interpret poems about snowmen and then write their own unique poem about an item he provided to each class. Farfaglia’s teaching encouraged kids and parents alike to write and think about the art of poetry. The poems were collected to make an anthology to commemorate the event. The event’ art gallery had paintings from local artists Ken Blount, Gale Armstrong and Andrew Knight. 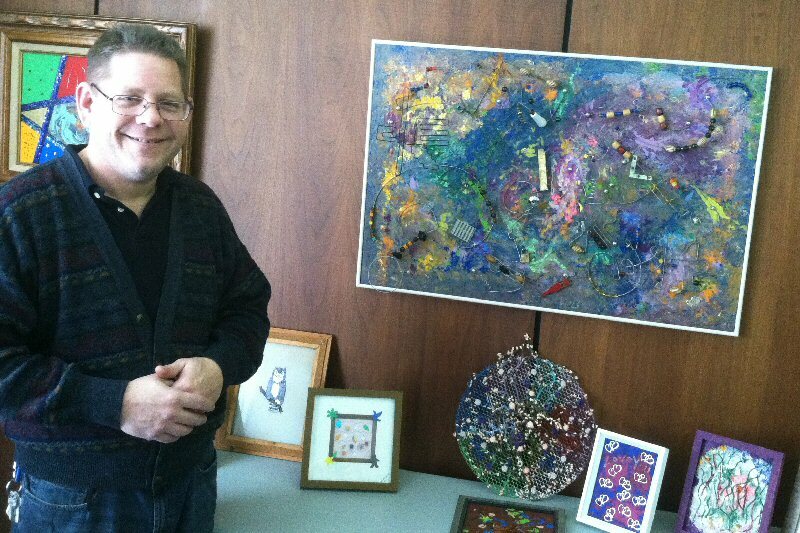 “I’ve always been a painter and I like to use a variety of items in my paintings,” said Blount. 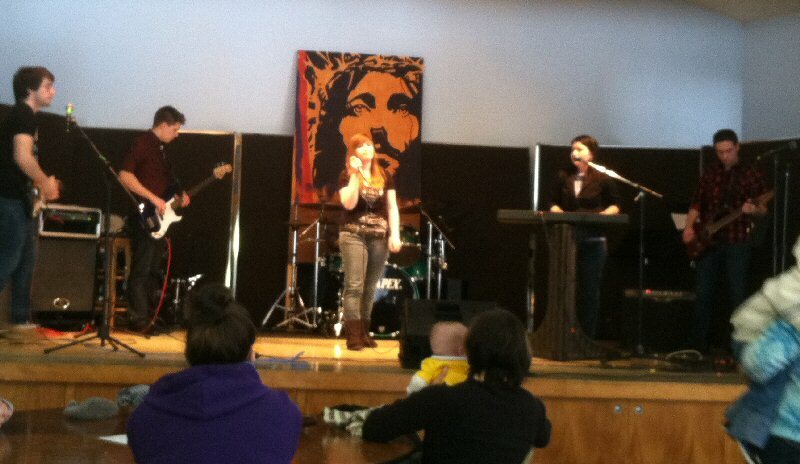 Christine Tupe and Friends entertain the crowd. His paintings included metallic wires and beads inviting the viewer to touch and get a feel for the piece. There was also storytime, where different community members volunteered to read to children who wanted to listen. “We let the children pick whatever book they want and then we read it to them,” said community member Deena Michaels. Live music was a part of the day, with bands such as The CRAZE Youth Band, Sound of Brass, Christine Tupe and Friends, Sean Martin Trio, Justin Hatch and Kaylee Foster. Local Artist Ken Blount stands next to his art display at the art exhibit at CNY Arts' Snow Day. There was a performance by Norma Broderick’s Dance Studio as well. The children’s carnival had snow themed games including ice fishing, snowball basketball, snowman beanbag toss, ice wall knockdown, snowmen ring toss and snowball ping pong pitch. Tickets for each game were sold three for $1, with each game only costing one ticket. “To find more information, visit our website www.cnyartscenter.com,” Fox added. Children create arts and crafts at Snow Day.